Planning your website’s structure and content is an extremely valuable part in the website planning process, yet many times overlooked. Throughout the years, we’ve met many different clients. Some clients are extremely well organized, having planned the website on their own time for months with friends and family. These clients know exactly what they want and just need the technical help putting it together. Other clients have a great idea, but are unsure of the best approach to deliver the idea as a killer website or mobile app. For these clients, planning out the content pages, navigation and, generally speaking, the delivery of the idea can be a long process that takes plenty of effort. 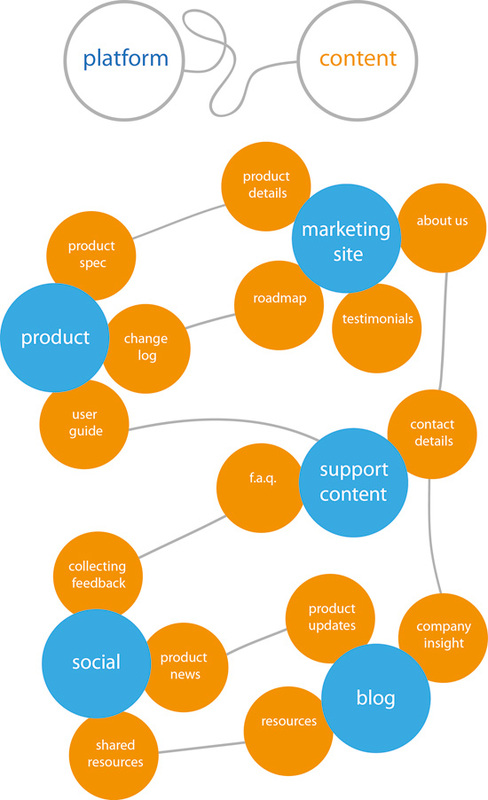 A great way to map out the content of your website would be something similar to a mind map. This technique allows you to see your content and the way it relates to the goals of your website, the goals of your website users and all the other content pages of your site as well. Warning: sometimes content mapping can lead to mental meltdowns! 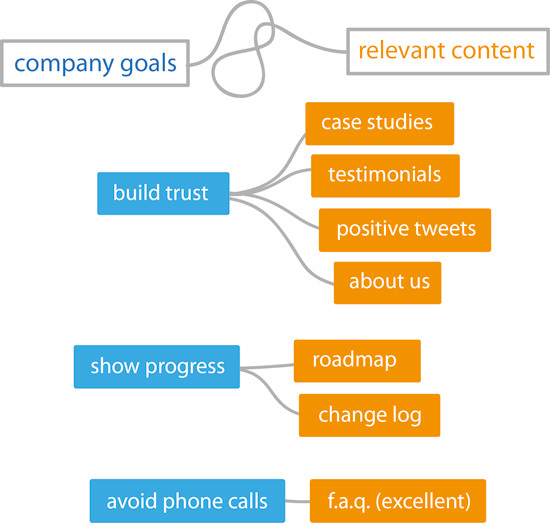 Content mapping should be easy and fast like a brainstorming session. Why Should You Create Website Content Maps? The main reason for creating content maps is to help you develop content with a strong focus on the main goals of your site, and the types of content that need to be produced. Below are some other reasons why you should create website content maps. Planning your content can give you a good vision of the direction and possible requirements of your site’s content, allowing us (the web development agency) to make wise decisions right from the start about the technologies that need to be utilized. For example, the leveraging of social media integrations, databases or even content management systems might be dictated by the content you intend to have. The planning phase creates shared vision of how everything works and fits together. This encourages collaboration and additional idea-generation between the client, designers and developers involved. By visualizing your website content, you will immediately see any gaps left open, including abandoned pages, main content that is not being properly linked, as well as needs for additional content to highlight the main features of your website. What are your business goals? Mainly, what are your main objectives with the website? Who are your main site users? Knowing this will dictate the best content to deliver to your main audience. What are the content requirements? Are there any style, technical or legal requirements or limitations? If you’re looking for a site redesign, it would also be beneficial to conduct an audit on your existing content to see flaws in the existing flow and to detect which content is superfluous and potentially can be done away with. Using a tool to map your content isn’t as important as what’s gained from the map. For me, preliminary drawings on notebook paper in pencil or pen work the best. However, when delivering to other members of the team putting the site together, a few tools that could help are OmniGraffle (a diagramming tool for Mac) and Balsamiq (a wireframing and prototyping tool). 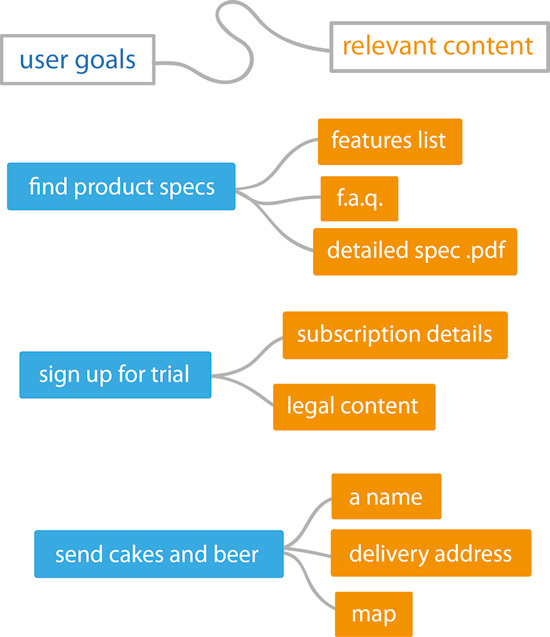 Your first content maps should be linear, and just contain large, clunky groups of content. This should cover the main goals of your website, not your users. Business goals should be included here as well. This process relates certain pages and content to other pages both in your own website as well as to external websites. The main technique is to have key words and links from page-to-page. The next step in your planning process is to get people to look at your content maps and give you feedback. I found the best approach is to give it to both technical people, as well as those who are not very into technology – your grandfather perhaps. By seeing it from both ends, you can further close gaps in your content and make it more intuitive to the wide range of website users that will be using your system. The final steps here are to share the map with your web development agency when the project begins to highlight the main content that should be built in from the start, as well as to keep these maps updated as your content changes in the future. When your website content maps are finished, you can keep your things organized with your project management tool like Basecamp and share them with content-sharing platforms like Google Drive.